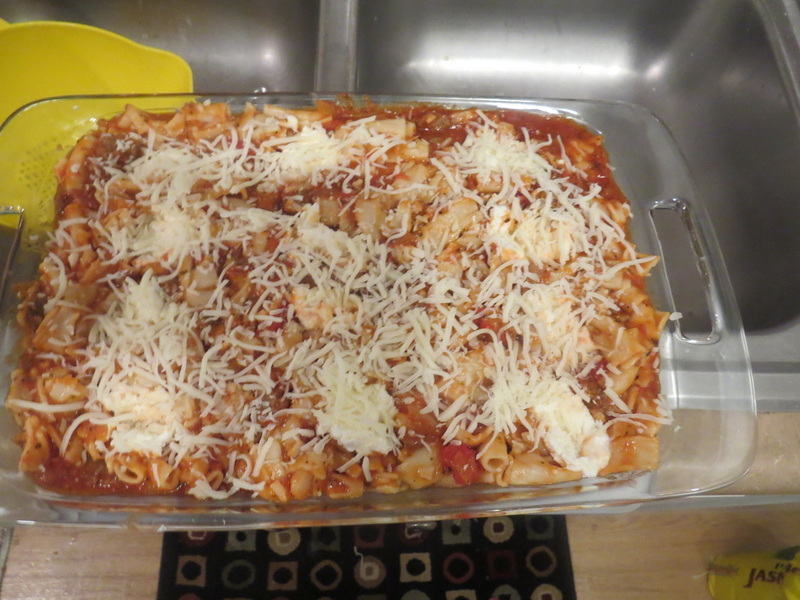 This recipe is a relatively simple, yet tasty pasta recipe. 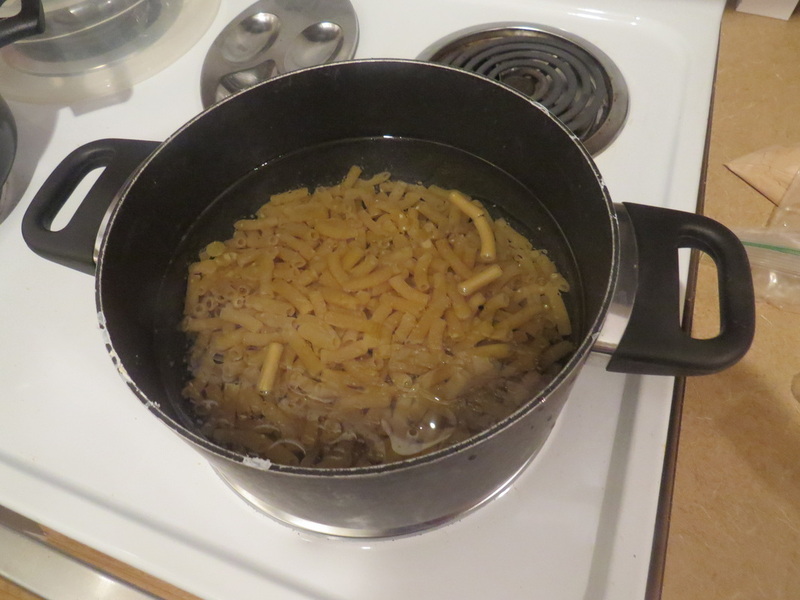 Step 1: Boil the pasta uncovered until it is al dente (edible, but still firm). Add a little olive oil to keep it from sticking together (about 1-2 tablespoons). 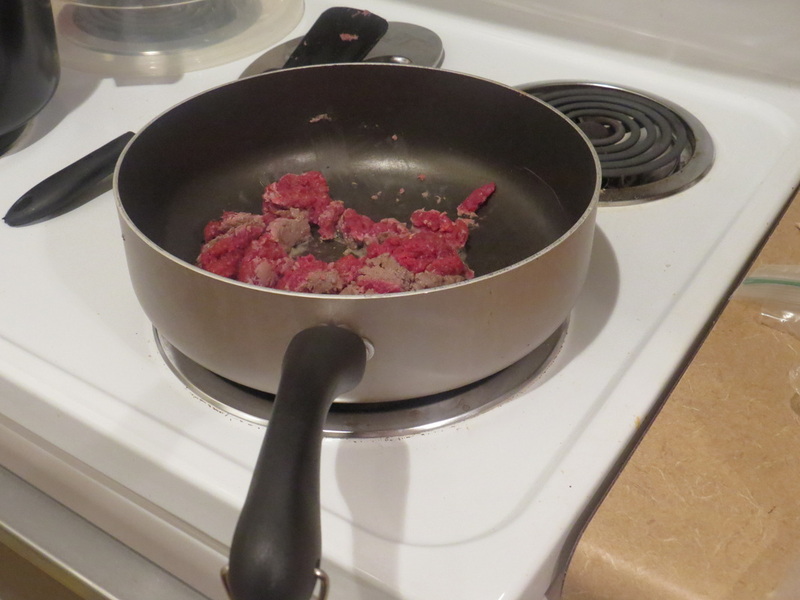 Step 2: While the pasta is cooking, cook the meat in a pan. 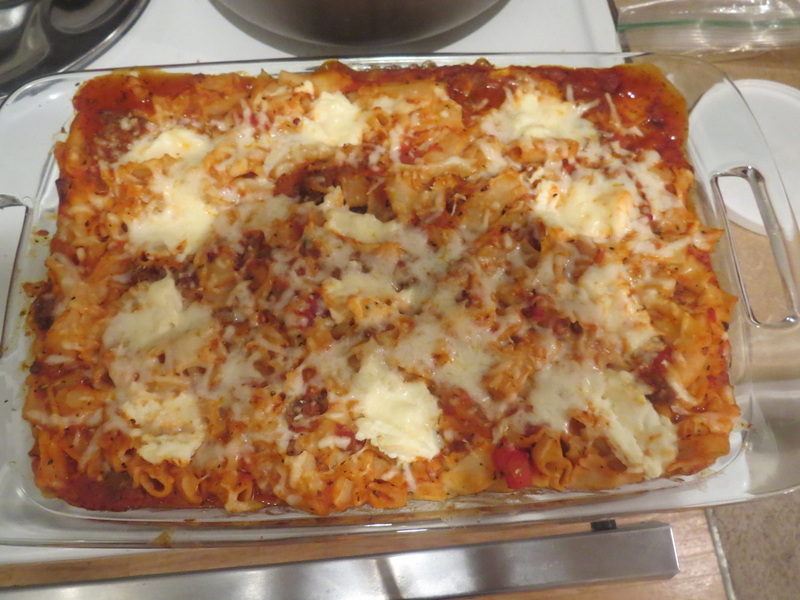 Cook until it is fully cooked (no pink). 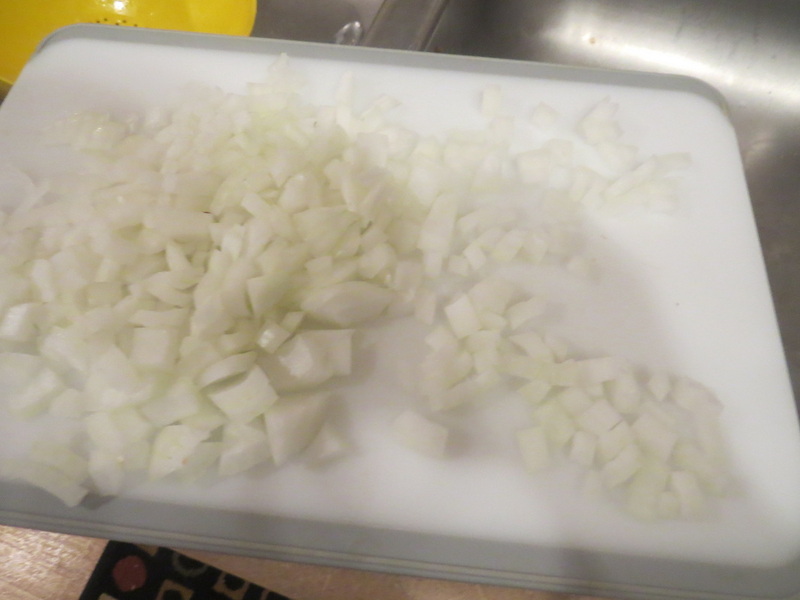 Step 3: Dice the onions and the garlic - add them to the meat once the meat is almost cooked thoroughly. Cook for 4-5 minutes. 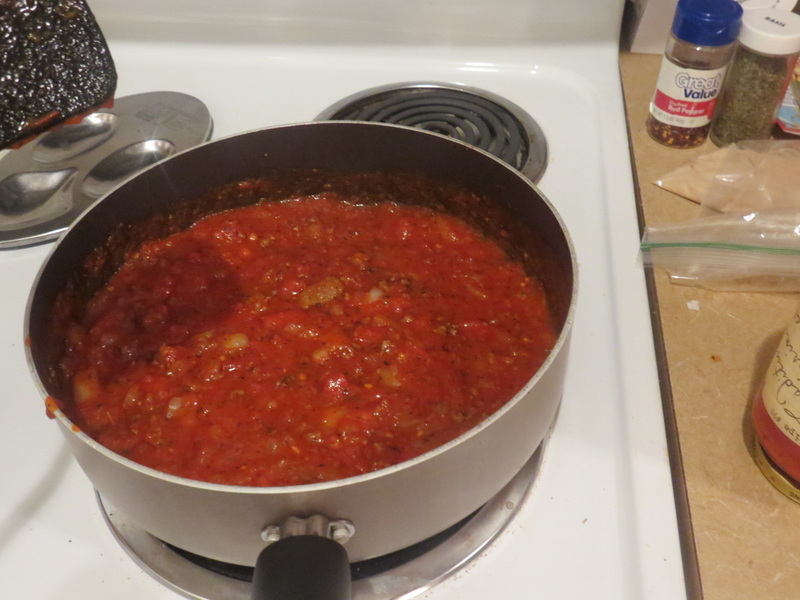 Step 4: Add the marinara sauce as well as the red pepper, rosemary or basil, and italian seasoning. Let simmer for 5 minutes. 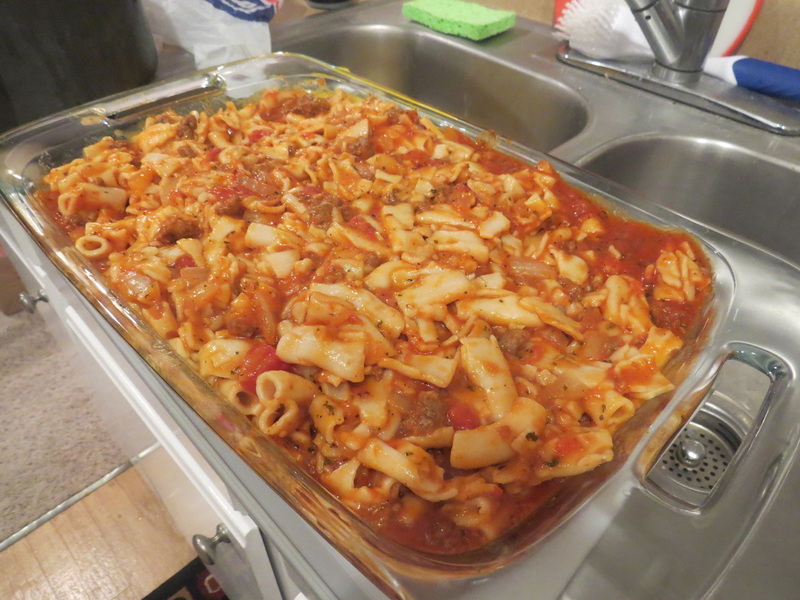 Step 5: While the meat and sauce mixture is heating up, drain the pasta. 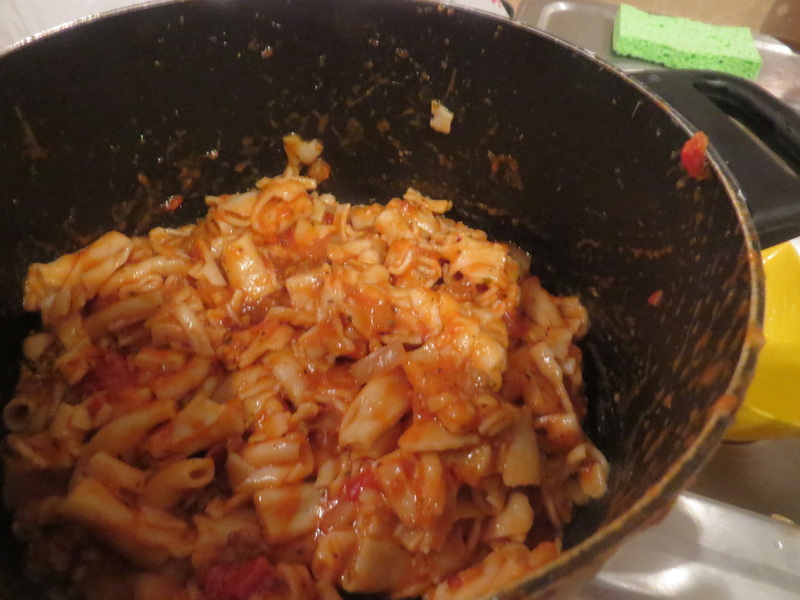 Step 6: In a pot, add the noodles and the meat sauce mixture together. 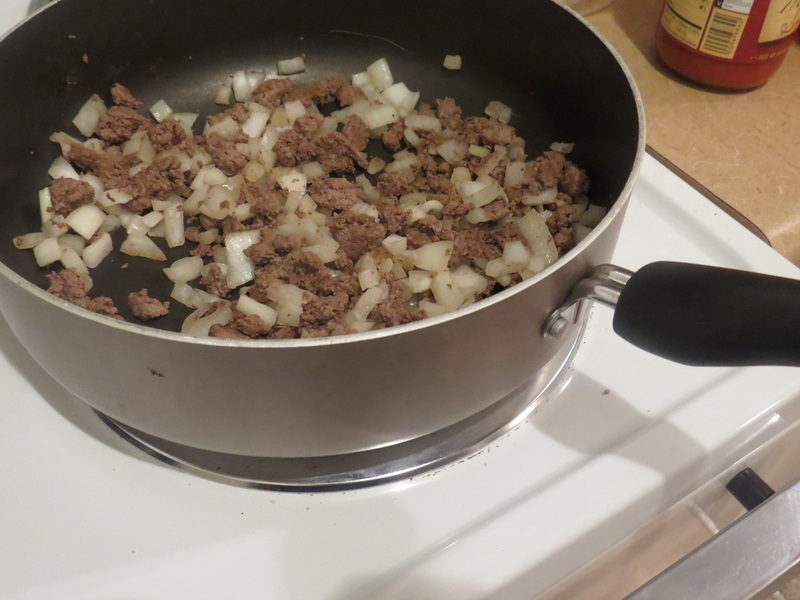 Step 7: Pour the noodles/meat sauce into a 9 X 13 pan. 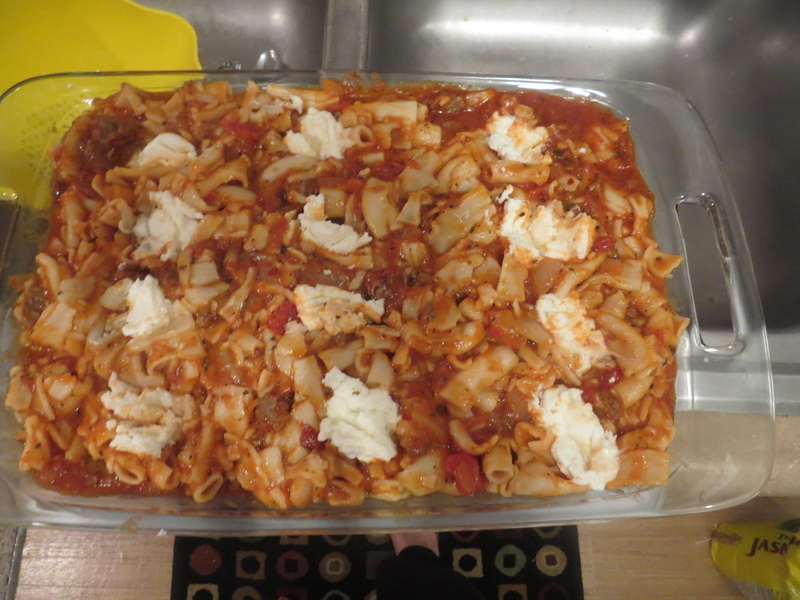 Step 8: Take the 1 cup of ricotta cheese and place spoonfuls evenly throughout the whole dish. 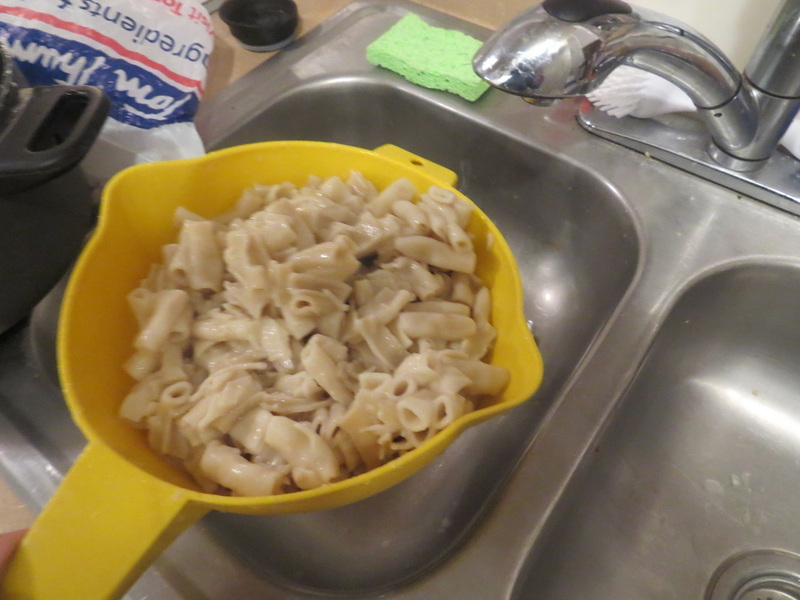 I place it on top, then use the spoon to push it down a little. 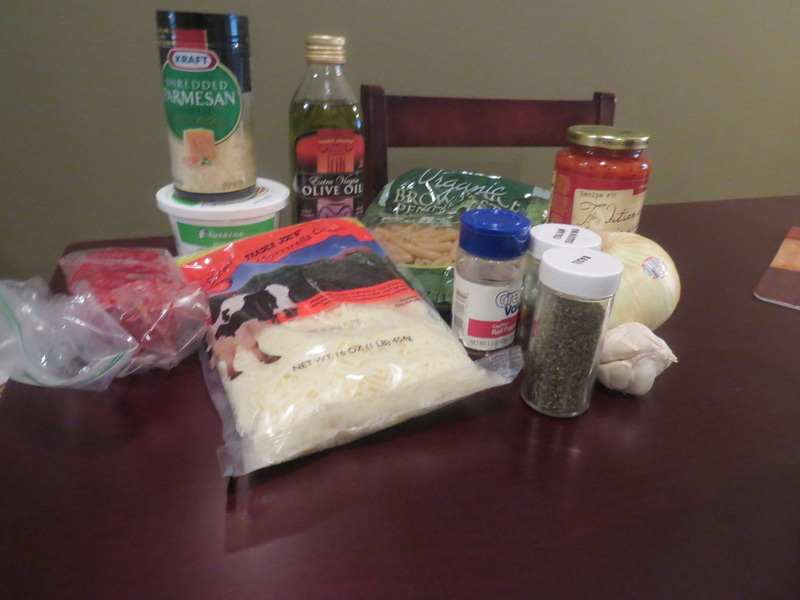 Step 9: Take the one cup of mozzarella cheese and 1/2 cup of parmesan cheese and sprinkle it evenly on top. Step 10: Bake in the oven for about 20 minutes, or until the top is starting to brown. 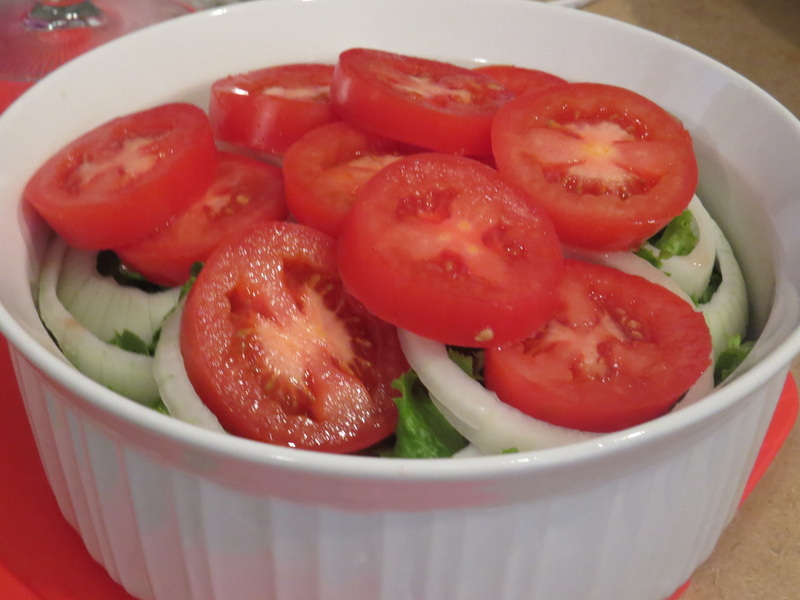 While everybody has their own version and types of salad, this salad is simple, yet tasty. 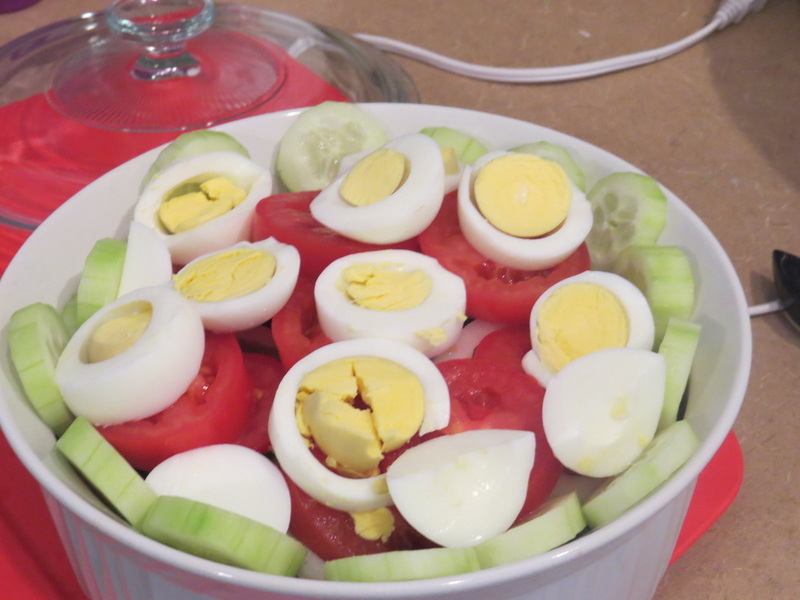 It also looks nice, so is a great salad to take to potlucks, parties, etc. Below is a picture and description of each step. 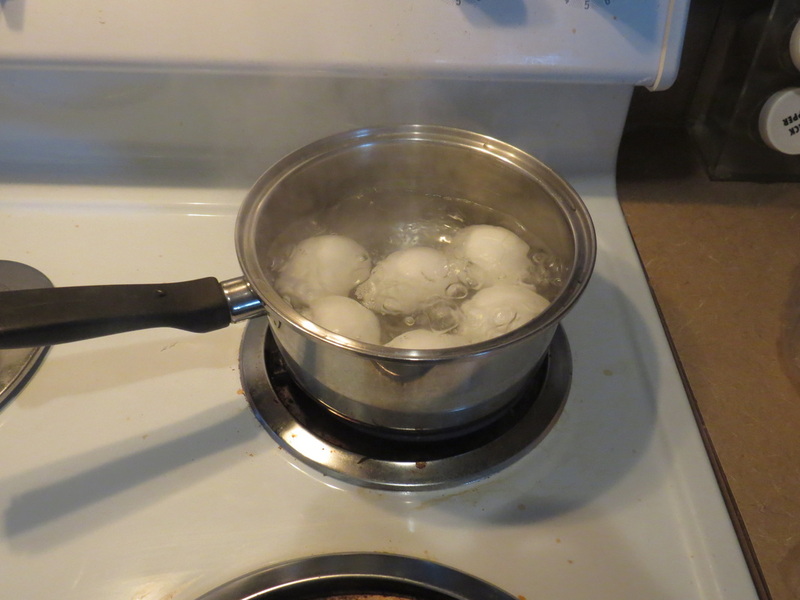 Step 1: Start by boiling your eggs and carrots. The number will depend on how big you want the salad, and how much you like eggs. For my medium sized bowl, I cut about 4-5 eggs. The amount of carrots will also depend on size and how much you like. If I am using baby carrots I use a big handful or more. 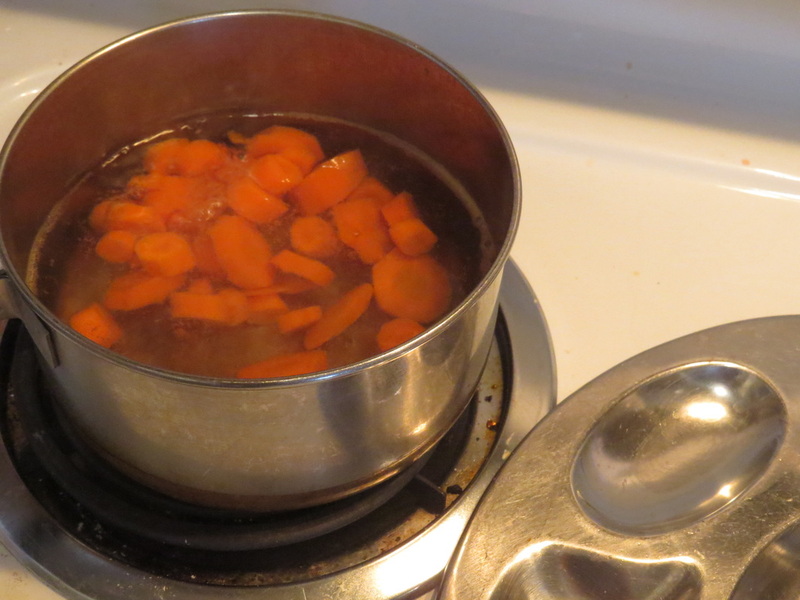 If I am using regular sized carrots, I use about 3 (in this picture, I used regular sized carrots that I pre-cut. If I use baby carrots, I like to cut them after they are boiled). 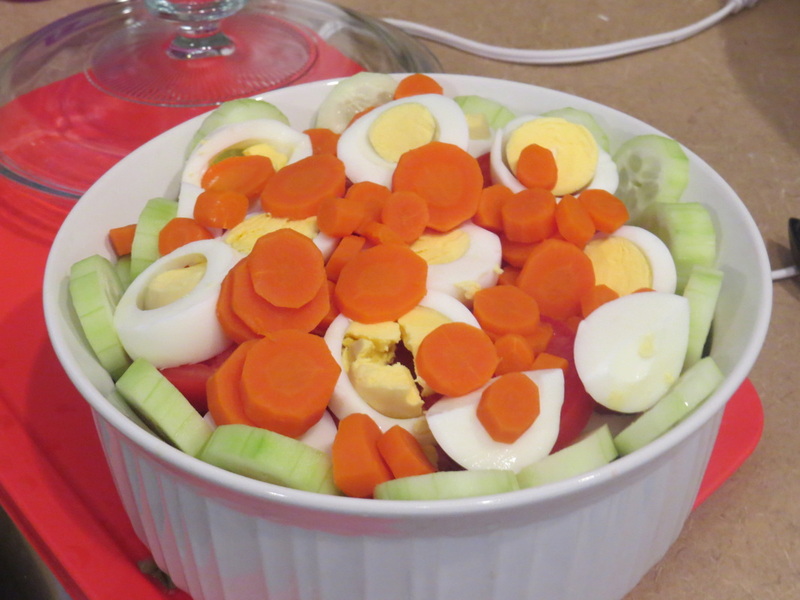 Step 2: While the carrots and eggs are boiling, start by putting your lettuce into a bowl. 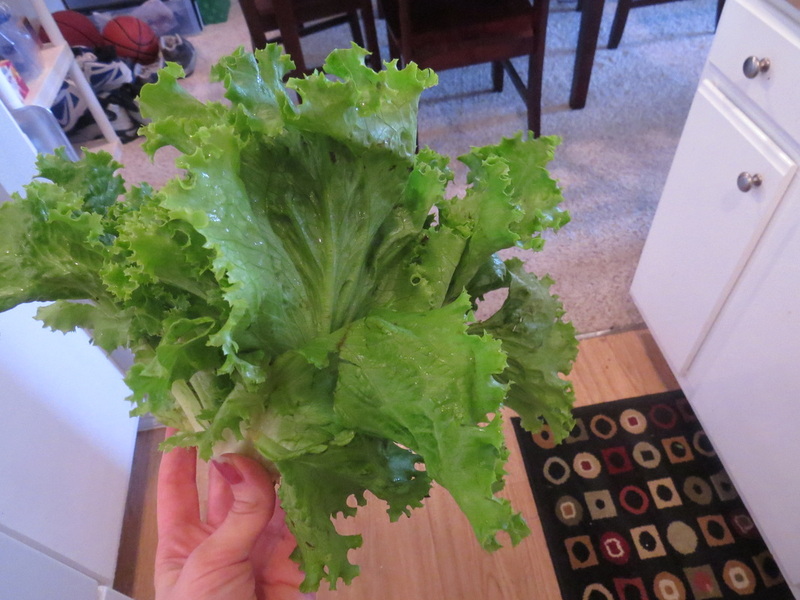 I use Green Leaf Lettuce. 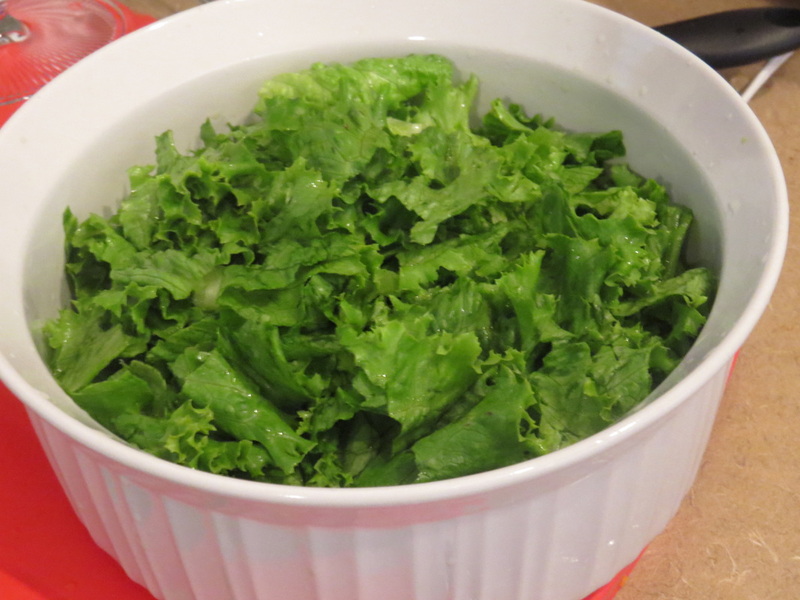 Wash the lettuce, then tear it into small pieces and place in your salad bowl. 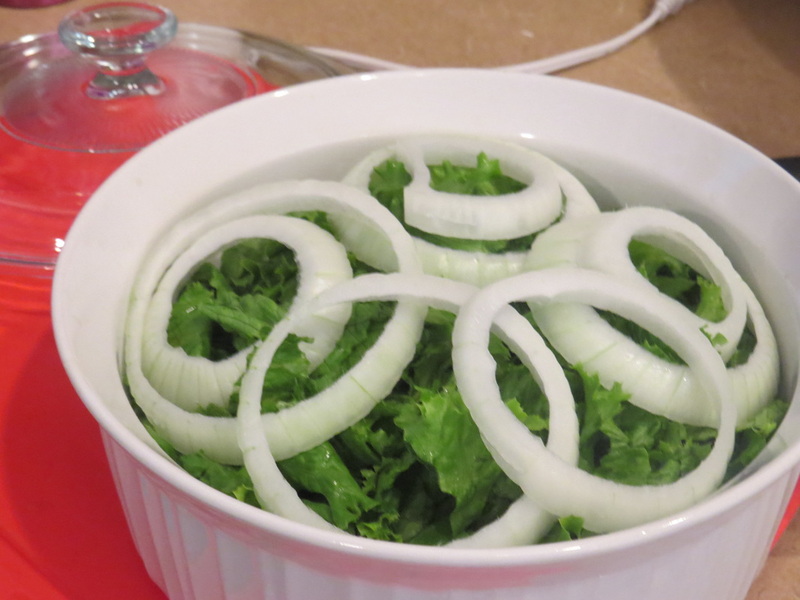 Step 3: cut your onion into rings, and place them on top of the lettuce. The amount will also depend on preference. 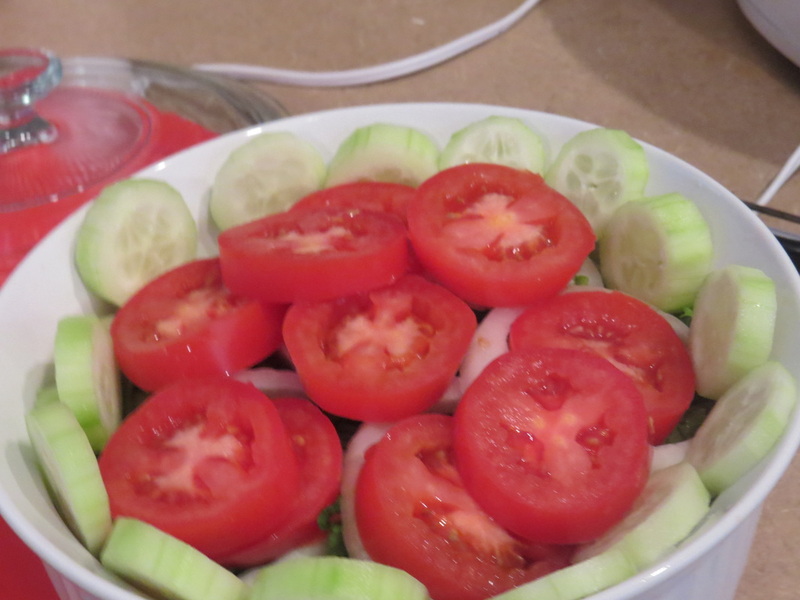 Step 4: Cut the tomatoes and place them on top of the lettuce and onions. Step 5: Peel and cut the cucumber into slices. Place the cucumber around the edges of your salad. Step 6: When the eggs are done, peel them and cut them into pieces. 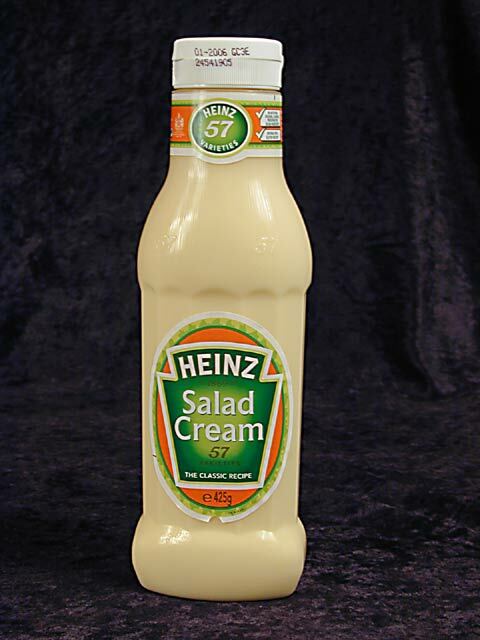 Place the pieces on top of your salad. Step 7: Cut the carrots if you haven't already, then sprinkle them on top of the salad.